Shopping malls are some of the world’s greatest tour destinations. Whether it’s meant to be educational, for fun, or to help students bond, make it a trip that no one in the group will forget. 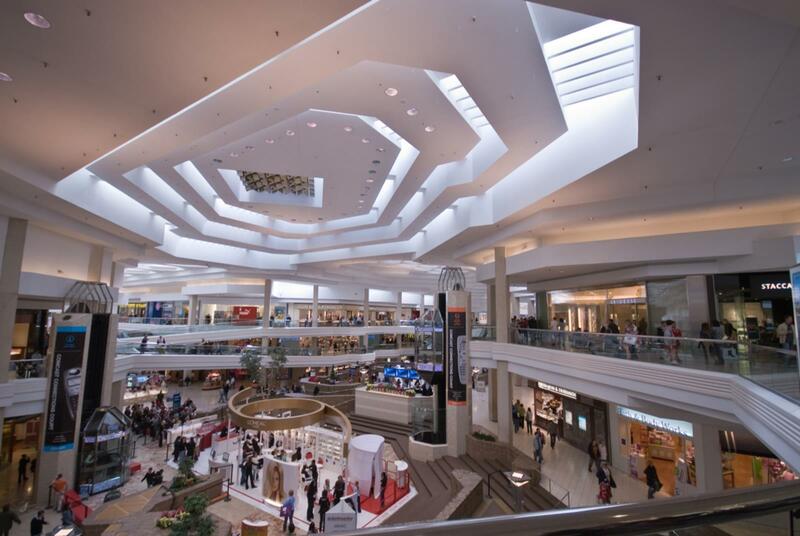 The country’s largest shopping and entertainment complex is located 15 minutes from downtown Minneapolis and St. Paul. Awaiting students are more than 500 stores and restaurants and over 400 events a year. And there is no sales tax on clothing or shoes. The mall can arrange for a tourism representative to speak to students on subjects such as marketing history, development, retail success, architecture, management, day-to-day operations, and impact on the local and state economies. The presentation, with a question and answer session, takes an hour. Each student receives a 2013 Mall of America coupon book. Another presentation for student groups discusses the laws of physics as they apply to rides in Nickelodeon Universe. How do the seats on the Avatar Airbender rotate? How much water is displaced on the log chute ride? The three-hour program is free, and participants must purchase a three-hour ride wristband. Minimum group size is 15. Mall of America also gives school and community groups the opportunity to perform before mall visitors. Its music series runs January through mid-November and is available on designated days each month. Potomac Mills is Virginia’s largest outlet mall. Its indoor shopping experience features over 200 stores including Bloomingdales, Nordstrom Rack, American Eagle Outfitters, GameStop, Hot Topic and Nike Factory Store. For groups of 10 or more, each member receives a free Potomac Mills coupon book. The group leader and bus driver receive a souvenir gift. Your school also has the chance to be a part of Potomac Mills’ “Mills Means More….Music” program and perform at the mall. 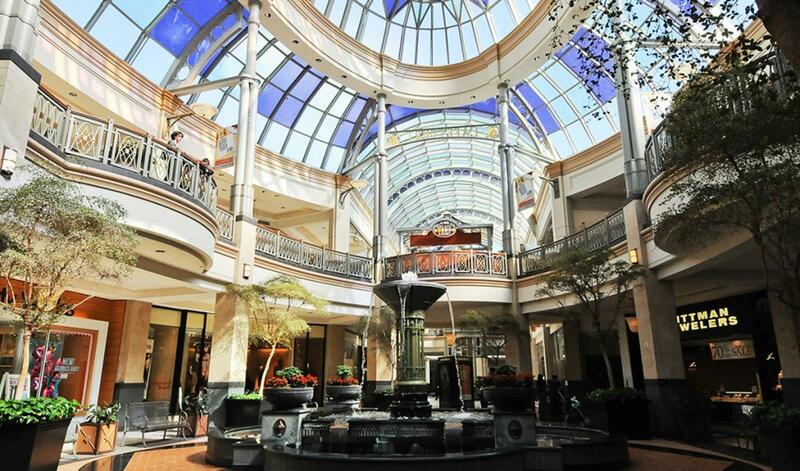 King of Prussia claims more retail space than any other shopping attraction in the United States. It contains many stores that cannot be found elsewhere in the area, such as Gucci, Rolex, Omega and Ferragamo. Comfortable seating areas and Wi-Fi access are available throughout the mall for students who may need a little downtime. Groups that register with the mall will receive a welcome package, which includes a directory along with the latest coupons and discounts for each member. Shopping at King of Prussia also means no tax on clothing or shoes. Westfield San Francisco Centre is one of the area’s top attractions for visitors. Besides shopping, the mall also offers a Century 9 Cinema, seasonal events, personal appearances and more throughout the year. The shopping centre staff can assist your student group with a motorcoach loading zone, meet and greets, VIP passport to savings booklets featuring hundreds of dollars in special offers from participating shops and restaurants, and group film screenings and meeting space, along with signature gift items. Westfield San Francisco Centre is just two blocks away from the Union Square and within walking distance of the city’s best hotels, restaurants and attractions. The elegant glass dome, the building’s signature feature since it opened as a department store in 1896, entertains visitors each night during the holiday season with Illuminique under the Dome, a one-of-a-kind animated 3D light spectacular. Woodfield Mall is the largest shopping center in the Chicago area and is also known as the top tourist destination in Illinois. Woodfield contains nearly 300 stores and restaurants including Charming Charlie, Macy’s and Nordstrom. Registered motorcoach groups receive the Signature Meet and Greet service free of charge complete with a Woodfield Mall shopping bag, Passport to Savings with discounts to over 100 stores and additional merchant offers. Woodfield Mall also provides motorcoach parking on site with a convenient drop-off and pick-up location. According to its website, Sawgrass Mills is the #2 tour location in Florida. Sawgrass Mills contains more than 350 stores, such as Adidas, Bath and Body Works, and Charlotte Russe, plus two food courts and an entertainment venue. Sawgrass Mills offers complimentary coupon books for group travelers, meet and greets, convenient bag storage, motorcoach parking, and complimentary meal vouchers for drivers and tour guides. You can also purchase gift cards to offer your group. 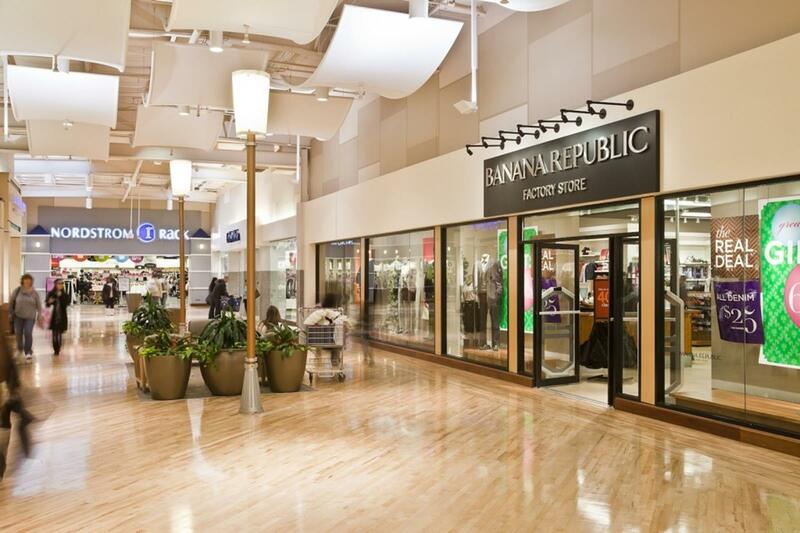 Destiny U.S.A. offers specialty stores such as Abercrombie and Fitch, Charlotte Russe, Hollister and Hot Topic. Level 3 provides entertainment such as bowling at Revolution’s Entertainment, Go-Karts at Pole Position Raceway, an 80-foot canyon on the Canyon Climb Adventure and Opti Golf. Incentives are available for the drivers and escorts of bus tour groups that register in advance. All members of registered groups receive a complimentary Passport to Savings filled with special offers. 8. Union Station, Washington, D.C. Historic Union Station, just blocks from the U.S. Capitol, opened as a train station in 1908. Today, Union Station offers a wide range of shops such as Barnes and Noble Booksellers, FYE, Victoria’s Secret and Nine West. The meal voucher program benefits small or large groups by providing easy access and discounted dining packages to 14 breakfast and over 30 lunch and dinner eateries in the lower level’s Stations Food Court. The Union Station bus deck is made to accommodate tour and charter buses and offers convenient drop-off locations for tour groups. Fashion Valley Mall is a beautiful outdoor shopping center with 200 stores and restaurants and an 18-screen movie theater. Stores include Bloomingdale’s, Macy’s, Juicy Couture, Apple Electronics and Footlocker. A staff member will personally meet your group with a mall directory and special offers.